Dr. Jonathan Holloway and Dr. Alondra Nelson have been appointed deans at Columbia and Yale University, raising the profile of Blacks in senior-level positions at two of the nation’s most selective academic institutions. 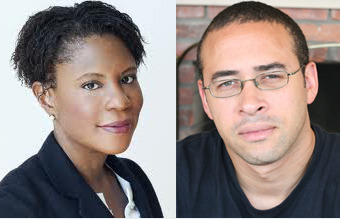 Two prominent scholars of African-American studies have been appointed deans at Columbia and Yale University, raising the profile of Blacks in senior-level positions at two of the nation’s most selective academic institutions. Dr. Jonathan Holloway, a professor of history and American Studies and chair of the Department of African American Studies at Yale, was named dean of Yale College by the university’s president, Dr. Peter Salovey. Dr. Alondra Nelson, a professor of sociology and director of the Institute for Research on Women, Gender, and Sexuality at Columbia, was named dean of social sciences—a newly created position within the College of Arts and Sciences—at the New York Ivy League institution. Holloway and Nelson’s promotions bring the total number of Black school deans in the Ivy League to five. Dr. Valerie Smith is the dean of the College at Princeton, as is Dr. Charlotte Johnson at Dartmouth. Dr. Cecilia Rouse is the dean of the Woodrow Wilson School at Princeton. Dr. Lance Collins is dean of Engineering at Cornell University. Earlier this year, Dr. John L. Jackson Jr., who is the Richard Perry University Professor and Senior Advisor for Diversity in the Office of the Provost at the University of Pennsylvania, was named dean of Penn’s School of Social Policy & Practice. For Holloway, who earned his Ph.D. from Yale in 1995, these appointments are historic. A recognized expert on post-emancipation United States history, Holloway’s work has focused on cultural and intellectual history. Last year, he published Jim Crow Wisdom: Memory and Identity in Black America since 1940 and recently edited a new version of Dr. W.E.B. Du Bois’ The Souls of Black Folk, which is scheduled to be released next year by Yale University Press. Nelson, a sociologist by training, earned her Ph.D. from New York University and arrived at Columbia in 2009, after teaching in the departments of African-American studies and sociology at Yale University from 2002 to 2009. She is the author of the award-winning book Body and Soul: The Black Panther Party and the Fight Against Medical Discrimination and the editor of Genetics and the Unsettled Past: The Collision of DNA, Race, and History and Technicolor: Race, Technology, and Everyday Life. Holloway and Nelson are both scheduled to begin their new jobs on July 1. Both said that they hope that their work across academic disciplines made them attractable candidates and positioned them as scholars working in the field of African-American studies but who were not simply race specialists. Dr. Dwight A. McBride, associate provost and dean of The Graduate School and Daniel Hale Williams Professor of African American Studies, English and Performance Studies at Northwestern University, praised Nelson and Holloway’s appointments. “It is indeed a great day for African-American studies scholars,” he said. McBride first met Holloway at a Ford Fellows Conference in 1990 while the two were both in graduate school. Likewise, Dr. Farah Griffin, the William B. Ransford Professor of English and Comparative Literature and African-American Studies and director of graduate studies for the Institute for Research in African American Studies at Columbia, praised Nelson as the ideal choice for the dean position.